Water is the lifeblood of the planet. Plants, animals and humans need quality water for our survival and the proper functioning of our body. The higher the quality of water, the greater the benefit in our bodies, materials, processes and environment. 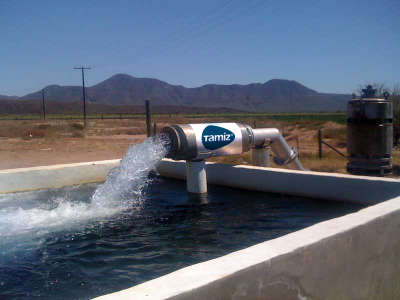 TAMIZ® optimizes the quality of water by means of a magnetic treatment that improves its molecular structure. 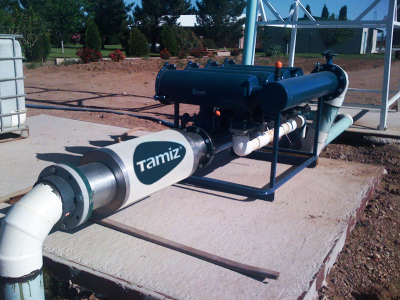 TAMIZ® is a device that exerts a magnetic field and causes physicochemical modifications in water. When water flows through the TAMIZ®, magnetic field lines have an impact on the ions from salts dissolved in the water and move them from their balance position. The modified physicochemical properties are: pH, solubility, magnetic susceptibility and electrical conductivity, among others. Moreover, it increases the solubility of salts in water, thereby reducing incrustations. The magnetic field has an effect on the molecular structure of water: it reduces the size of the clusters of water molecules and the surface tension, and increases bio-assimilation. All this modifications provide benefits to industries, agriculture, domestic installations, etc.(1-6). TAMIZ® improves the efficiency of installations and equipments, extends the useful life of the equipment, reduces maintenance costs, as well as chemical, electrical and water consumption, enhances the absorption of water from the soil, as well as the combustion efficiency and the quality and productivity of crops, reduces infections, improves the cleaning of facilities, reduces pollutants, etc. (2,4,5,7-12). Removes dirt, unpleasant odours and pathogenic organisms. Increases the quality and production of crops, and reduces water consumption. Increases the production and quality of animals and derived products. Enhances the result of the final product by improving the quality of the process water. Revitalizes and purifies the human body. Improves the quality of water and contributes to its purification.